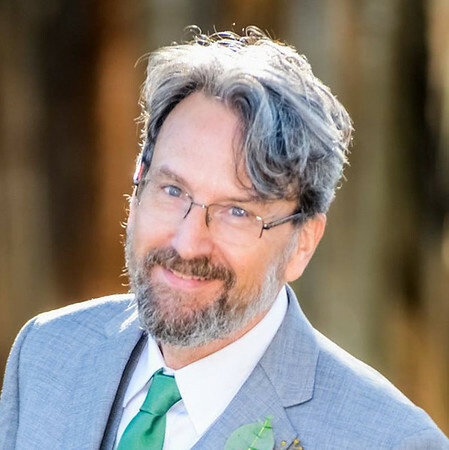 Professor Brain’s research and teaching interests focus on the connections between place-making, community-building, and civic engagement, and on sociological issues related to the planning and design of good neighborhoods, humane cities, and sustainable development at the regional scale. In addition to research and theoretical writing on these topics, his work has led to practical involvements that include both independent consulting and neighborhood-oriented action research that engages students in collaboration with local community groups. Locally, he and his students have worked with city and county government as well as neighborhood and community groups. He has been recognized internationally as an expert on contemporary efforts to transform the way cities are built, and as a frequent contributor to educational programs for citizens and professional practitioners— in collaboration with the Florida House Institute for Sustainable Development, the Seaside Institute, the Seaside Pienza Institute for Town Building and Land Stewardship, the Knight Program in Community Building, and the Catanese Center for Urban and Environmental Solutions. He is also a partner in High Cove, a village in the mountains of western North Carolina designed as an experiment in ecologically responsible development practices. His published research has included work in the sociology of work, professions, and work organizations; social theory; and the sociology of culture. Professor Brain teaches courses in urban sociology; the sociology of space and place in contemporary cities and suburbs; sustainable communities; social theory; sociology of culture (including the arts, popular culture, material culture, science and technology); and social organization. Brain, D. (2004). From Windsor to Viseu: Reflections on architectural education. In D. Thadani, & P. Hetzel (Eds. ), Windsor Forum on Design Education. Miami, Florida: New Urban Press. Brain, D. (2005). From good neighborhoods to sustainable cities: Social Science and the social agenda of the New Urbanism. International Regional Science Review, 28(2), 217-238. Brain, D. (2005). From neighborhood to region: Three counties respond to sprawl. In J. Scott (Ed. ), Guidebook to the New Urbanism in Florida. Stuart, Florida: Florida Chapter of the Congress for the New Urbanism. Brain, D. (2005). Re-forming the urban edge: More than just a beautiful view. Seaside Pienza Institute. Brain, D., & Talen, E. (2005). Rebuilding great places. Rebuilding the Gulf Coast. Brain, D. (2006). Democracy and urban design: the Transect as civic renewal. Places, 18(1). Brain, D. (2006). From Windsor to Viseu: reflections on architectural education. In J. Baganha (Ed. ), Teaching of Architecture and Urbanism in the Age of Globalization. Casal de Cambra, Portugal: Council for European Urbanism and I.N.T.B.A.U. “Social Housing in Latin America,” with Nikos Salingaros, Andrés Duany, Michael Mehaffy, and Ernesto Philibert-Petit (Environmental Structure Resource Group). Forthcoming in Nikos Salingaros, The Future of Cities (Umbau Verlag). A version titled “Favelas and Social Housing” has been published in Proceedings of the Brazilian and Ibero-American Congress on Social Housing, Florianópolis, Brazil, 2006. “Beyond the neighborhood: urban design and civic renewal.” Tigran Haas (ed. ), New Urbanism and Beyond. The Future of Urban Design. New York: Rizzoli, 2008.